Congratulations to our 2019 March Mapness Tournament champion Virginia #1! This 29-year-old coal mine, Cavalier #1, outlasted Texas #2 to become this year's winner. Want to learn more about our winner and other mine maps? Explore the Mine Map Database. The National Mine Map Repository (NMMR) collects and maintains mine map information and images for the entire country. As an extension of the Office of Surface Mining Reclamation and Enforcement (OSMRE), NMMR acquires maps through public outreach efforts directed at state and federal agencies as well as mining companies, engineering and consulting firms, surveying companies, universities, and private citizens. If you have mine maps that you would permit the repository to scan and add to the collection. See our Map Acquisition page for more information. If you would like to acquire digital copies of mine maps. Office Hours: 7:30 a.m. to 4:00 p.m.; Monday - Friday by appointment. 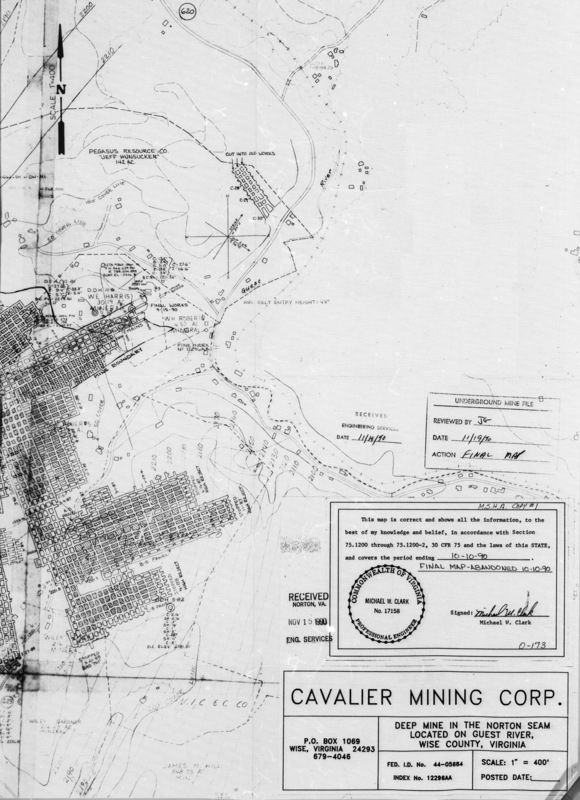 Office of Surface Mining Reclamation and Enforcement Disclaimer: Mine maps within the Office of Surface Mining Reclamation and Enforcement (OSMRE), National Mine Map Repository (NMMR) are not guaranteed to be accurate, correct, or complete. All maps in the NMMR have been donated to the OSMRE. The information contained therein cannot be verified and so cannot be guaranteed. The accuracy of the mine maps within the NMMR. The reliability of findings based upon data from the maps. The reliability of findings from digital mapping programs. The completeness of the maps, as they may not reflect prior or more recent mining. The accuracy of any georeferenced mine maps found in the NMMR.